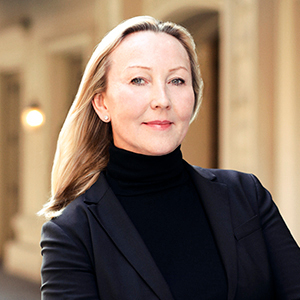 Therese joins Compass and the LeChance+ Team after a decade of having successfully been involved in real estate sales and leasing in New York City. Her background in events marketing and business promotion gives Therese the enviable advantage of being on the leading edge of local trends in both residential and commercial real estate. This sensitivity allows Therese to be especially attentive to the needs of both local and international clientele. In addition to the resale business, Therese has also been an essential asset to bringing many successful New Developments to the market such as; Ekstein Development Group's 540 West 28 Street, Witkoff' Group's 150 Charles St, + 10 Madison Sq West, Alchemy's 35XV, Madison Realty Capital's 78 Irving Place + 1 Great Jones Alley. Born and educated in Stockholm, Sweden, Therese has been a New York resident for over 20 years, making her a perfect guide to both the newcomer and the native to the City. Therese takes pride in her thorough knowledge of New York's complex real estate landscape, helping her match her clients not only with the right home, but also guide them to the right neighborhood. Being the rare agent who holds a degree in economics, Therese can help her clientele understand the often confusing financial particulars surrounding any real estate transaction. When not assisting her clients, Therese remains involved with many local and national charities and enjoys visiting the many art galleries in Chelsea where she lives.